Nowadays we’ve forgotten where food actually comes from. Some people find it difficult to believe olives were “born” with pits, because they’ve only eaten the pitted ones out of cans, and others have never known fresh milk or milk straight from the cow; they’ve only had milk from a U.H.T. Tetra Brik carton. So what about pulling some magic in the kitchen and showing your kids how cream becomes butter? You will get a delicious homemade butter, full of flavour, with 65% fat, as compared to commercial butters, which commonly have up to 80% fat and zero flavour to boot. So switch on the music on, and let’s shake it! Who said you cannot play with food? 1. Put cream in the jar and close lid. 2. Turn the music on. 3. Shake it, shake it. About two minutes later, you will notice that the cream is starting to thicken. Take a rest. 4. Keep shaking shaking (it will take a couple more minutes). Suddenly, the cream will start to divide into a solid part (butter) and a liquid part (buttermilk) You did it! Press butter and knead it a litte bit to eliminate exceeding buttermilk, and clean it under clean water. You can keep both buttermilk and butter in the refrigerator for a few days. Note 1: You can do the same thing using a food processor, but it won’t be as much fun! 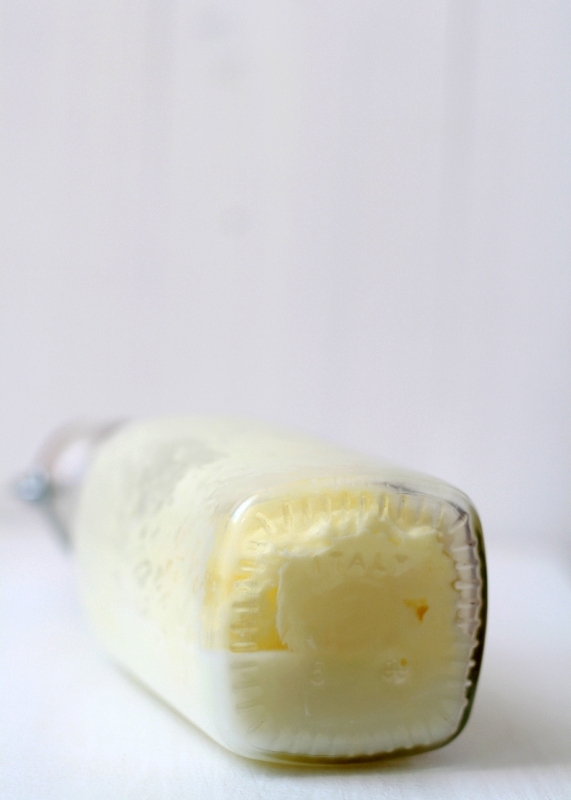 Click here to watch a video showing how to make homemade butter using a food processor. Note 2: The bottle shown in the pics is not the ideal recipient for making butter…when butter becomes solid, it is really hard to get the butter out of it. Note 3: The time indicated on the recipe is for an adult. Kids have less strengh and cannot mantain constant movement, so it will take them longer to actually get butter.